For three years The Date hosted some of the finest house and disco events London has seen in recent memory, with many of the most recognised US and UK DJs turning up and sending the faithful and knowledgeble crowd into a frenzy, none more so then on Easter Sunday when legends Nicky Siano and Danny Krivit flew in to offer a farewell party like no other. Looking forward, The Date continues, there was no concern there, just where do they go? Well for 16 May, the answer is Plan B in Brixton. 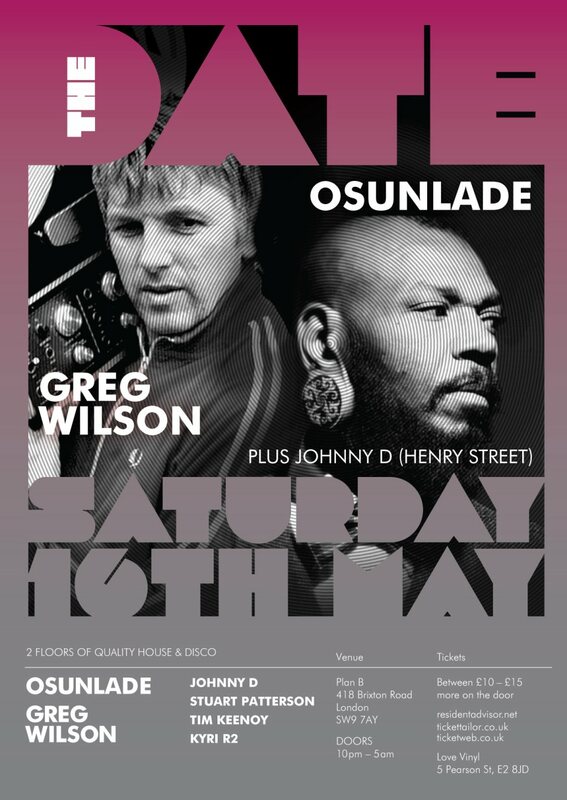 Osunlade and Greg Wilson are the special guests headlining a room each alongside the excellent ‘Date’ residents. Plan B offers the quality soundsystem that has always been a massive part of the product this party delivers. In addition, a third guest in Johnny D from the Henry Street label will be in attendance. Will this venue be a permanent fixture for The Date for another three years, that we will find out in time but for now, we cannot wait to see how the dancefloor in Brixton shakes with these guests and the dancers that follow. 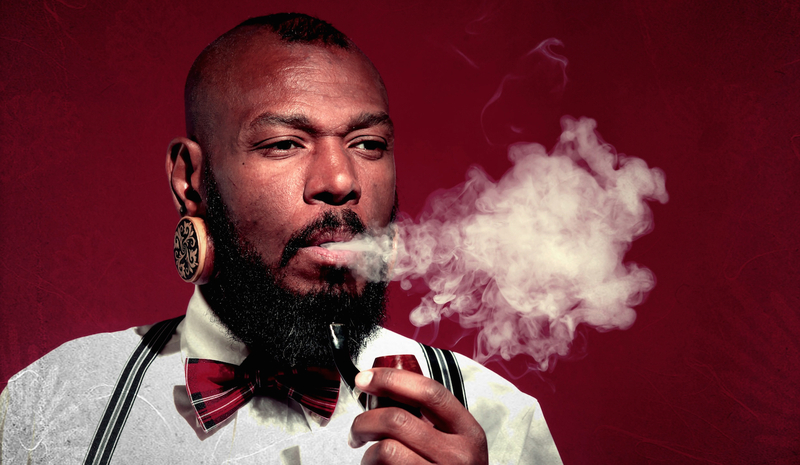 American producer, label owner and highly in demand DJ, Osunlade makes his first Date appearance. He has worked with luminaries like Roy Ayres, Patti Labelle and Salif Keita as a producer and his Yoruba label is one of the most highly regarded labels in the world but it is a world class DJ that will be seen on this night. Greg Wilson is a firm Date favourite and returns to bring his ever popular sets of edits, classics and forgotten gems re-invented for today’s dancefloor, a true originator. Quality London support comes from guest Kyri, label owner of R2 who release Osunlade’s ‘Piscean Group’ album, also coming out in May plus, as always, residents Stuart Patterson and Tim Keenoy are on hand bringng their vast musical and dj history to support the headliners and set the party off in fine style.